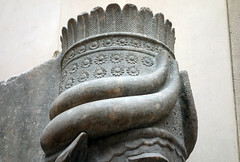 These sculptures were excavated by P.-E. Botta in 1843-44. 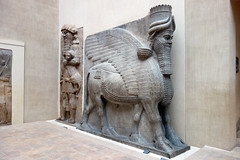 The lamassu in museums today (including the Louvre, shown in our video, as well the British Museum, The Metropolitan Museum of Art, and National Museum of Iraq in Baghdad, and others) came from various ancient Assyrian sites located in modern-day Iraq. They were moved to their current institutional homes by archaeologists who excavated these sites in the mid-19th century. 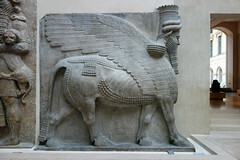 However, many ancient Assyrian cities and palaces—and their gates, with intact lamassu figures and other sculptures—remain as important archaeological sites in their original locations in Iraq. 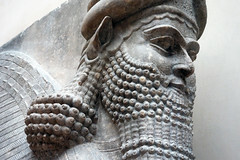 In 2015, a chilling video circulated online, showed people associated with ISIS destroying ancient artifacts in both the museum in Mosul, Iraq and at the nearby ancient archaeological site of ancient Nineveh. 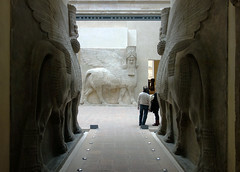 Their targets included the lamassu figures that stood at one of the many ceremonial gates to this important ancient Assyrian city. 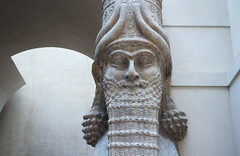 Scholars believe that this particular gate, which dates to the reign of Sennacherib around 700 B.C.E., was built to honor the god Nergal, an Assyrian god of war and plague who ruled over the underworld. Islamic State representatives claimed that these statues were “idols” that needed to be destroyed. 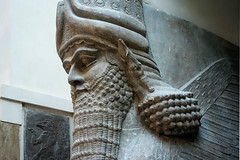 The video features footage of men using jackhammers, drills, and sledgehammers to demolish the lamassu. The Nergal gate is only one of many artifacts and sites that have been demolished or destroyed by ISIS over the past decade. 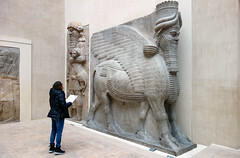 Despite the existence of other examples in museums around the world, the permanent loss of these objects is a permanent loss to global cultural heritage and to the study of ancient Assyrian art and architecture. “Historians Pore Over ISIS Video of Smashed Statues for Clues to What’s Been Lost,” The New York Times, February 26, 2015. 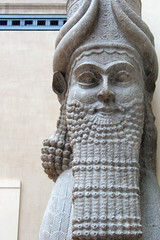 “ISIS Destroys Mosul Museum Collection and Ancient Assyrian Statues,” Hyperallergic, February 26, 2015. 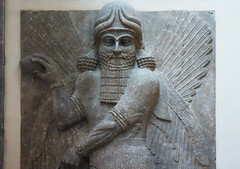 “Isis fighters destroy ancient artefacts at Mosul museum,” The Guardian, February 26, 2015. “ISIS has turned the destruction of ancient artifacts into entertainment,” Los Angeles Times, February 27, 2015. 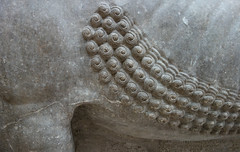 Cite this page as: Dr. Beth Harris and Dr. Steven Zucker, "Lamassu from the citadel of Sargon II," in Smarthistory, December 15, 2015, accessed April 21, 2019, https://smarthistory.org/lamassu-from-the-citadel-of-sargon-ii/.